Judging by the Cover – 1/23/19 new releases – AiPT! Dave and Eric share their favorite covers from this week’s new comics. In that spirit, here are the covers that captured Media & Content Manager David Brooke and Manga Editor Eric Cline’s attention this week. I’m not even a Buffy fan and I love the use of color here. What’s cool about this cover is how your eye is drawn to her face, and you instantly know it’s Sarah Michelle Gellar. Then as your eye is drawn down you see the phone, then the stake, then the school. It’s not until you’ve looked at this for a few seconds (or maybe even a minute) that you see the eyes of the vampires behind her. The use of yellow pops on her skirt too, and the retro vibe is quite cool overall. Chris Samnee is without a doubt one of the best artists working today. The use of color here to show the blue bright lightning is impressive. 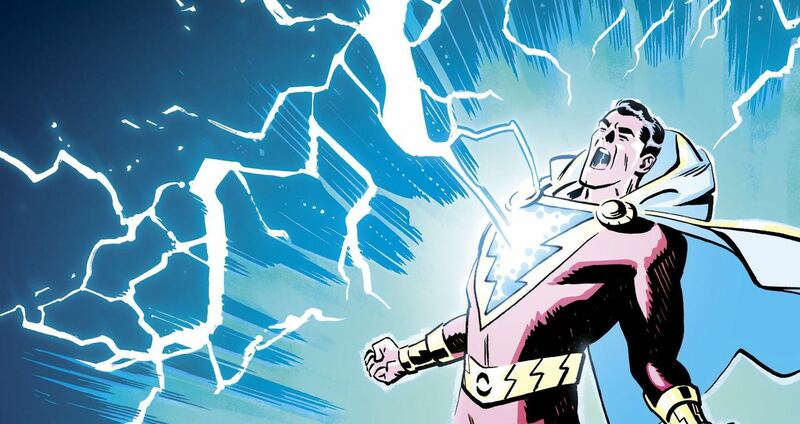 You can feel the power running through Shazam and it should get readers pumped to go on this adventure. I love it when covers utilize light/color to highlight and this does that in spades. I’m a sucker for movie poster style covers and this one stacks the characters just like you’d see at the cinema. The energy effects (like at the bottom) are quite cool too and add a three-dimensional look. The lighting is quite cool too. It has a Star Wars feel to it that suits this cosmic adventure story. Every now and then I see a cover that instantly makes my list for the week. This is one such time–I mean, what else could I possibly want? It’s an Admiral Ackbar toy variant! It’s all fun, from the cartoony-looking action figure to the lovingly rendered portrait behind it. Just look at those eyes! It’s hard to imagine a better pitch than “The Shape of Water meets Elvira.” This issue has a lot of great covers, but I settled on this one. All the expected camp is right there, as Francavilla does a great job capturing Elvira’s amusingly shocked expression. Of course, the merman behind her also looks great. This is a cover that makes me want to read the issue itself. Camp and aliens seem to be my running themes this week. The Mars Attacks! aliens have such fantastic designs with their big bulbous brains and eyes. Hack does a great job with the composition here, and both the sci-fi tech and dissected human look awesome. This cover is showing me everything I want from this book.